Although 2016 has not done anything particularly horrible to me personally (other than the fact that I will be seeing the new year in from the sofa and toasting it with cold remedies!) I do feel like many of us are carrying the weight of the seismic changes we’ve seen in many areas and sometimes find it hard to stay positive. I have no answer to that other than to say I retain my own sanity through my creative work and interaction with associated communities that are so important to me. So my simple message for the new year is to say thank you to all the friends and customers who have inspired me and lifted me up over the past year and to offer them the same support for the coming year…I appreciate every one of you more than you know. 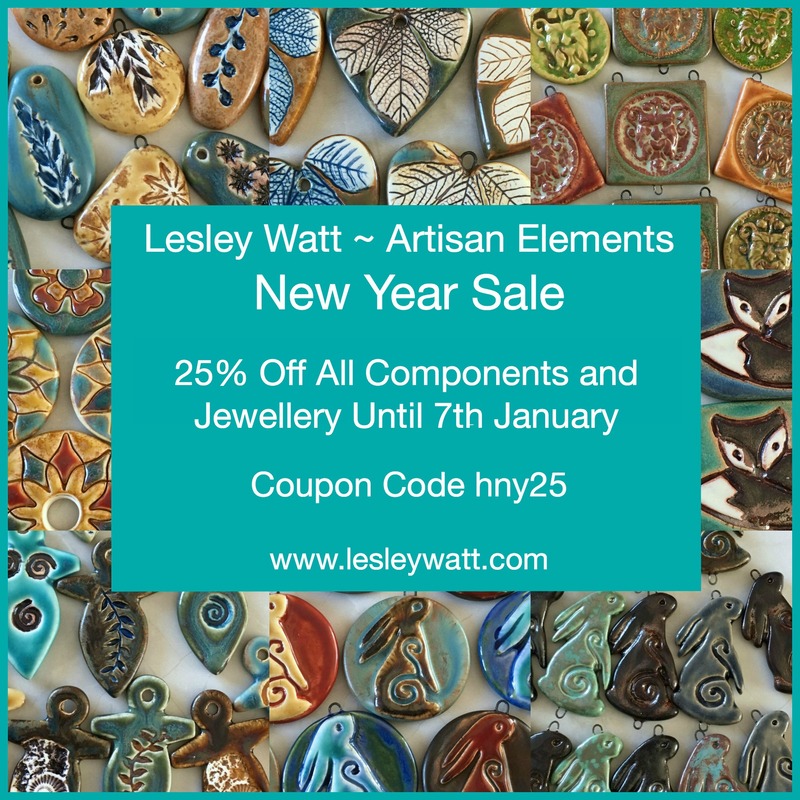 And just to start things off on the right foot I’m having a sale with 25% off all components and jewellery in the shop until January 7th. Just use coupon code hny25 when you check out. However you are celebrating the new year I hope you have a wonderful time and I’ll see you on the other side! Next Art Elements Component of the Month – January Reveal.